This blog entry is a bit late but I didn’t want to show these until they’d been delivered. I didn’t make many handmade Christmas cards this year, just those for immediate family & a few of them are shown below – the rest are in my Picasa gallery. 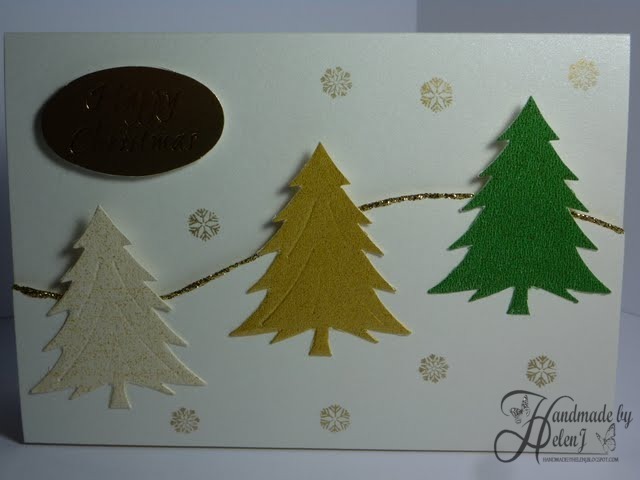 VERY easy card – freehand cut the hill, edged it with Stickles & mounted using foam pads . The trees & greeting were purchased and the snowflakes stamped to finish. 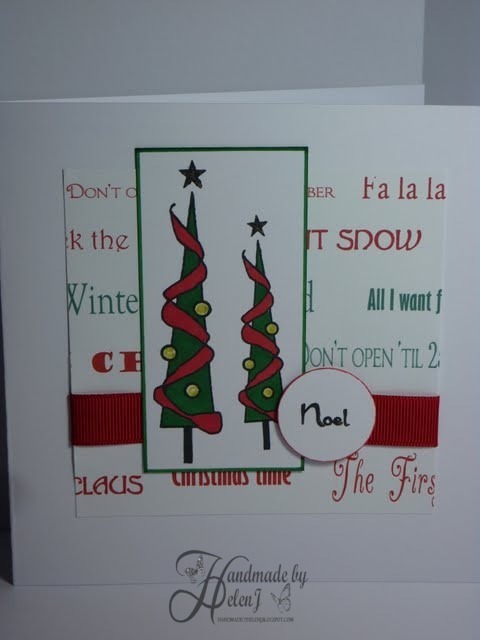 Free backing paper (from madaboutcards, I think), image stamped & coloured with Promarkers. 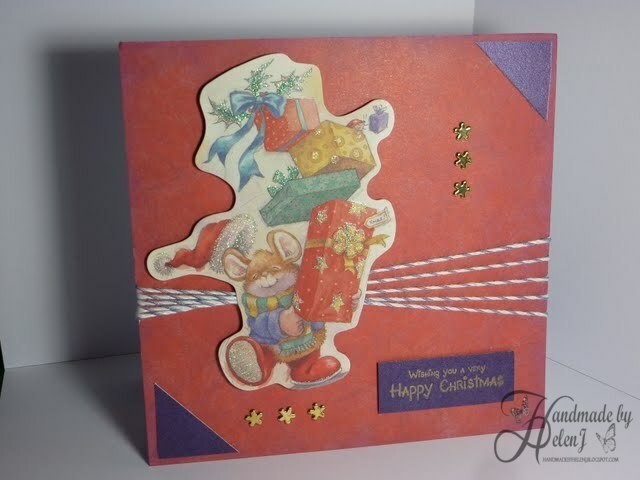 Recycled image, free backing paper, baker’s twine by Creative Expressions.